Until CADASIL Together We Have Hope was established there was nowhere to turn for assistance and support. A website was created in 1995 by Billie Duncan-Smith after her husband’s, Steve’s diagnosis, the primary aims of the website was to ensure that there was an increased awareness and knowledge of this disease. The demand for information became so great that on May 10th, 2005 CADASIL Together We Have Hope became a 501(c)(3) non-profit organization, recognized by the IRS as eligible to receive tax deductible donations. CADASIL Together We Have Hope is devoted to promoting advocacy, awareness, education, research and support. We are dedicated to enhancing the established communication network among families as well as identifying sources of medical care and social services. We foster advocacy and open communication among all stakeholders as we work collaborative to find a treatment or cure for CADASIL. It is our vision that an environment where affordable diagnosis and up-to-date care is readily available with cost effective treatment for everyone. Families, Advocacy, Medical Technology,Innovations, Loyalty, Integrity, Ethical Practices, and Service to Society, which spells out FAMILIES. To improve the lives of all we work collaborativelywith various organizations, physicians, researchers, and groups to ensure the channels of communication are kept open among all to find a treatment or cure for all. We work closely with a myriad of worldwide researchers push and announce current studies of interest to our CADASIL community. This committee is comprised of CADASIL Specialists from America, Canada, France, and the United Kingdom. 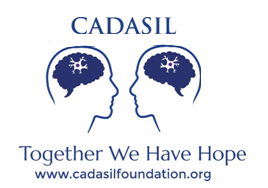 The group provides on-going information and support to the organization, which in turn is shared with the CADASIL community via this website, newsletters, and conferences. The non-profit extends an enormous thank you Dr. Hugues Chabriat, Dr. James Grotta, Dr. Raj Kalaria, Dr. Keith Muir, Dr. Leonardo Pantoni, Dr. Stephen Salloway, Dr. Viera Saly, Dr. Swathi Sathe, Dr. Anad Viswanathan, and Dr. Michael Wang for volunteering their time towards the organization's mission. Continue to read about our Scientific Medical Advisory Committee. The board are all volunteers who dedicated to finding a treatment or cure for the genetic disease. Continue to read more about our board. We understand you wish to raise awareness and education. Please remember, prior authorization is required if you want to use the organization's name or logo on any materials you are creating or distributing. This policy is in effect so that any materials can be approved by the Medical and Scientific Advisory Committee for accuracy. Thank you in advance for your kind understanding.